(Matt Agorist) During the run-up to the election and up until the inauguration, Donald Trump made repeated promises to release his tax returns. However, like all presidents before him, after he was sworn in, he quickly began breaking promises and releasing his tax return was at the top of the list. This broken promise has spurred an epic response by WikiLeaks who is now promising to release them. 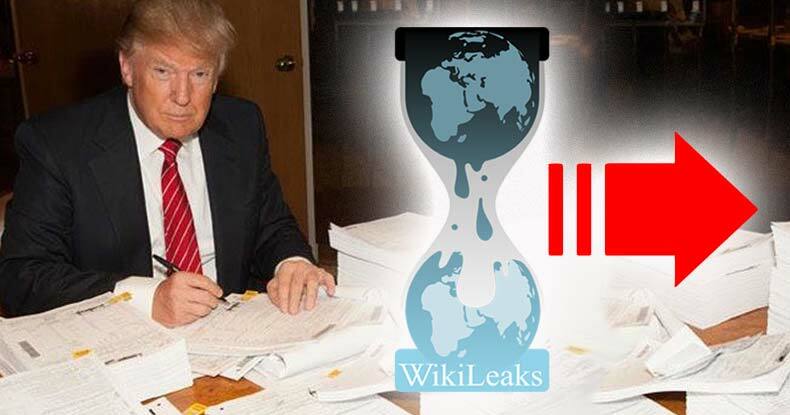 During the campaign, WikiLeaks was repeatedly accused of being in the corner of Trump after they released tens of thousands of emails from John Podesta that exposed the crimes and corruption of Clinton and her cronies. However, Assange went on record multiple times, noting that if and when they get something on Trump, they will release that too.